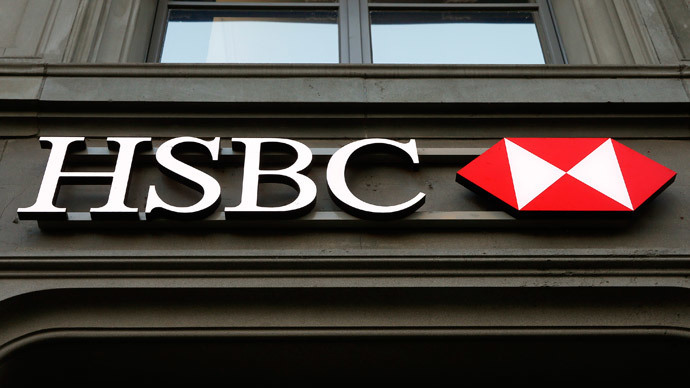 HSBC CEO Stuart Gulliver has issued a statement offering his “sincerest apologies” after the bank was accused of helping clients conceal their identities to avoid paying taxes on deposits. The apology was printed in British newspaper adverts. The bank’s Swiss private banking arm has been accused of knowingly aiding thousands of individuals evade taxes and break other financial laws. “We have absolutely no appetite to do business with clients who are evading their taxes or who fail to meet our financial crime compliance standards,” Gulliver said. Public apology from #HSBC in tax evasion scandal a given. Public is used to apologies but doesn't have time for them. Confidence shattered. Europe’s largest bank has been at the center of allegations since the International Consortium of Investigative Journalists (ICIJ) published documents giving the details of more than 100,000 account holders in 200 countries using the bank as a safe haven from the tax man. “Since 2008, our Swiss private bank has been completely overhauled,” Gulliver said in a letter published in several British newspapers on Sunday. Gulliver wants to let clients know that the bank has changed since then. “We would like to provide some reassurance and state some of the facts that lie behind the stories. The media focus has been on historical events that show the standards to which we operate today were not universally in place in our Swiss operations eight years ago,” the letter, which was also sent to HSBC clients and staff, said. The bank chief also said that the situation must be put into context, as the media hype over the revelations relate to a former employee that stole data more than eight years ago. Gulliver, 55, took over the helm of the bank in January 2011. Before that, Lord Green ran the bank from 2006 to 2010. The HSBC subsidiary is just one of more than a dozen Swiss banks to come under fire for nontransparent banking and aiding tax evasion.